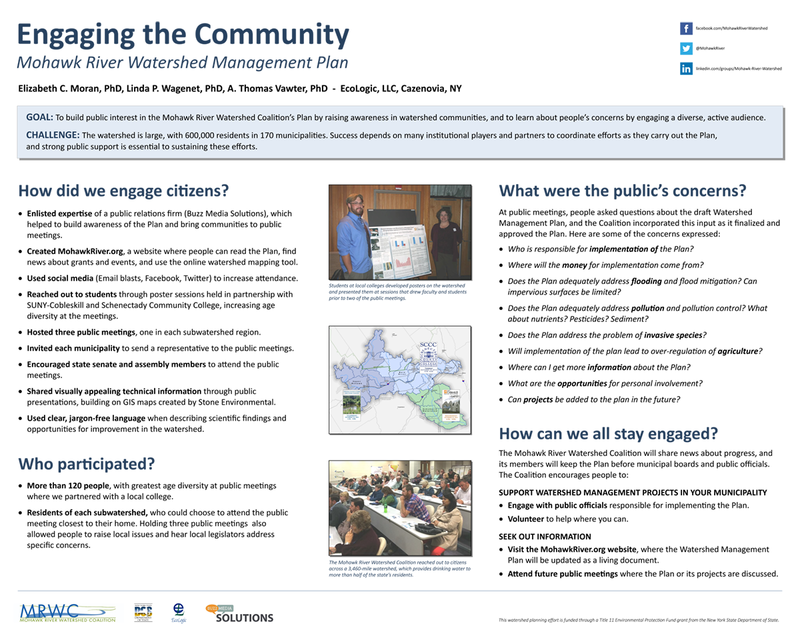 EcoLogic worked with the Mohawk River Watershed Coalition, a group of 14 County Soil & Water Conservation Districts, to develop the Mohawk River Watershed Management Plan. The Mohawk River is the largest tributary to the Hudson River, encompassing 3,460 square miles within 14 counties between the Adirondack Mountains to the north and the Catskills to the south. Over 600,000 New Yorkers live within the watershed’s 170 municipalities. Our staff compiled and analyzed the extensive information gathered to characterize the watershed, and wrote a plan consistent with the NYS Department of State guidelines. In addition, we supported a robust stakeholder and community outreach program to ensure that the priority recommendations align with the desired future state of this unique and diverse area of New York. 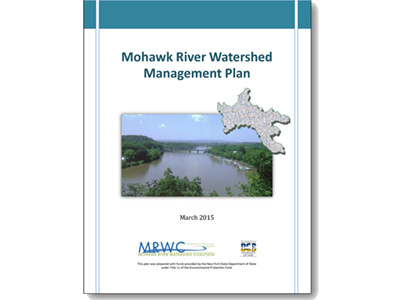 Visit the Mohawk River Watershed Coalition’s website to read the completed Mohawk River Watershed Management Plan.